I am running: MacOS High Sierra on a 2016 TB MBP. >> App: Parallels Desktop 12. >> VM: Ubuntu Linux 16.04. I only use the terminal of the Linux VM to communicate with robotic hardware. When I use the terminal, I need to use generic Linux command line keyboard shortcuts. -the cmd key shortcut cannot be disabled in the linux VM. -all kinds of shortcuts such as ctrl-A, B, C, D, etc. result in actions that are not desired when using in a Linux Terminal. 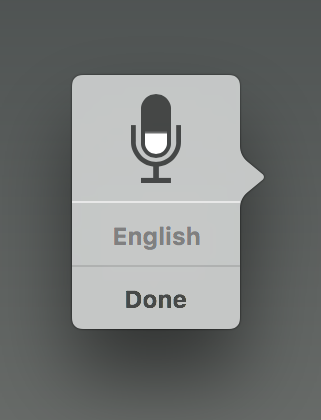 This shortcut, when running the MacOS, does not result in this dictation-like pictogram, so it is somehow a shortcut for either Parallels or Ubuntu. My goal is to disable as many keyboard shortcuts as possible in the Linux VM/Parallels so that all the keyboard shortcuts are available for the Linux terminal command line. Browse other questions tagged terminal keyboard unix parallels-desktop .